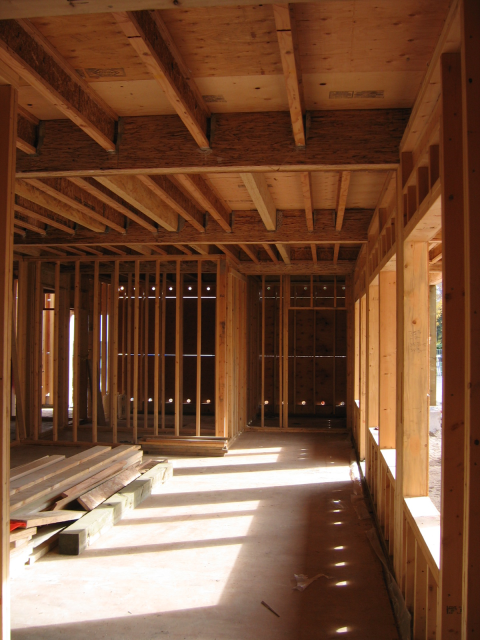 When you consider that we use the highest quality kiln dried lumber, state-of-the-art computers and laser-guided truss manufacturing, the level of precision we achieve is second to none. This degree of accuracy certifies for windows, doors and framing to have a tighter fit, creating a more energy-efficient project. Protects all materials from destructive weather effects. Laser technology for precision assembly. As part of Sinclar Group Forest Products we can guarantee the quality of each and every piece of lumber that goes into your project. Employing state-of-the-art laser technology and a climate-controlled, award winning manufacturing facility, we produce a superior building to on-site construction methods. Simply building in a closed, computer-controlled environment ensures your project will have a level of precision and care that is difficult to duplicate by building on site. From inside out, the majority of the materials we use are covered with warranties that can run as long as 30 years. Thirty years of happy customers comes from superior quality and customer service second to none. Winton offers the highest quality of prefabricated buildings with over 30 years of experience.